May all your wishes and dreams come true when you wear these elegant earrings. This simple yet unique design will look beautiful worn with any outfit and for all occasions. 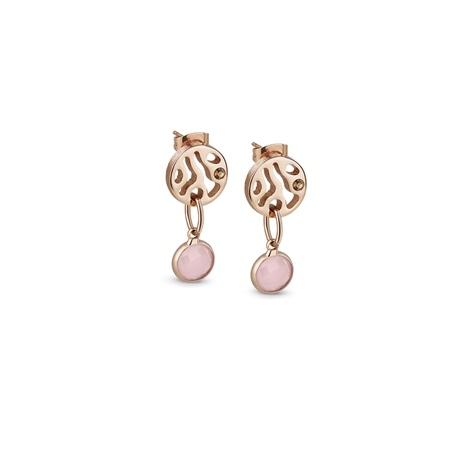 Rose gold plated earrings with a protective anti tarnish layer, topaz glass Chatons with pink glass stone settings, unplated titanium posts, butterfly backs, presented in a Newbridge Silverware gift box. Product dimensions 30mm. For hygiene reasons earrings cannot be exchanged.